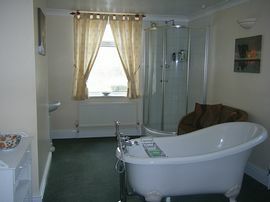 Church House Apartment is a larger than average maisonette, in the heart of Filey. 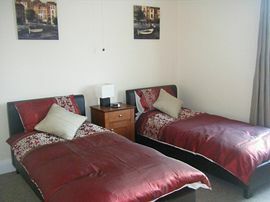 The apartment comfortably accommodates 6, each bedroom has room for guests' own travel cot. The apartment has its own entrance / hallway leading to the 1st floor where there is a large bathroom with independent shower as well as a roll top bath, wash basin and W.C. There is also a separate W.C. on same floor. 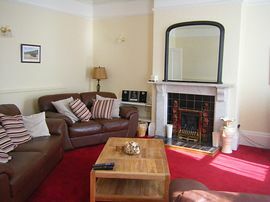 There is a spacious double fronted lounge, with modern furniture and equipment. 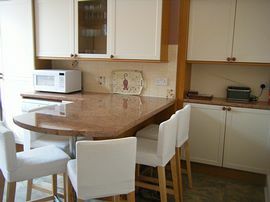 The kitchen has dining for 6 people and contains all appliances expected of a modern flat. High chair provided. On the 2nd floor are 3 good sized bedrooms. All rooms have central heating. This is an ideal retreat for a short break, a week or a longer holiday, for couples or families alike. Nearby are shops, bars, restaurants and the beach. Bus and train links are only a 5 minute walk. Low season: £75,00 per night depending on occupancy. 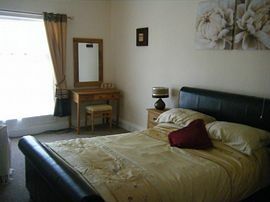 High season: £105.00 per night depending on occupancy. Weekly bookings from: £400.00 - £650.00. Bank holidays and Term times may vary. Short term let on application.